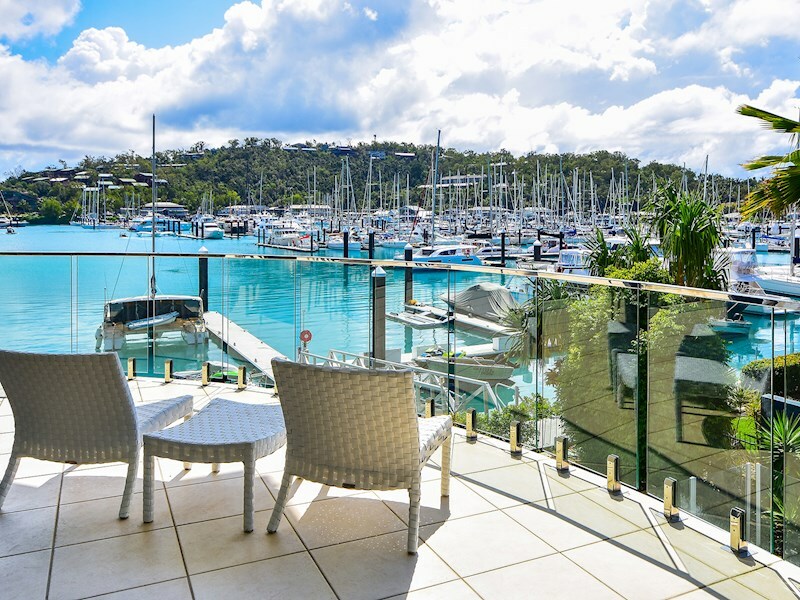 Sensational views and an idyllic Marina location. 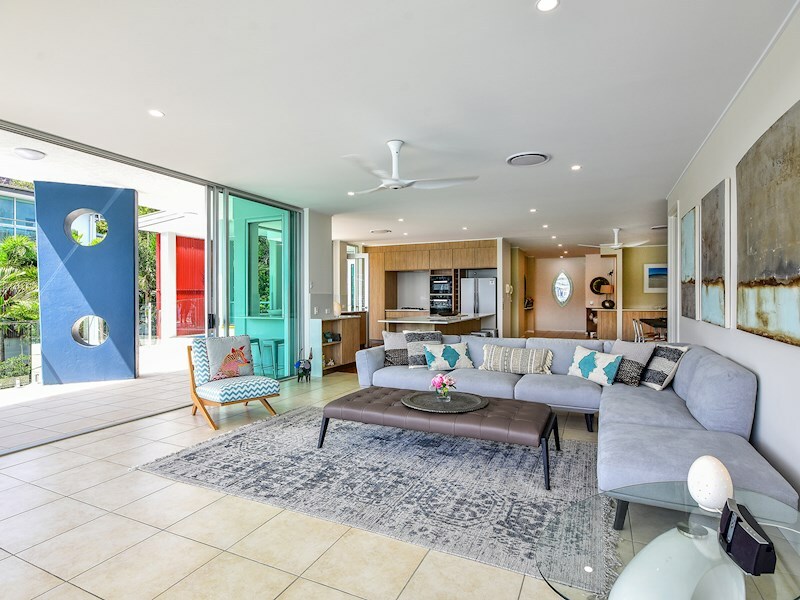 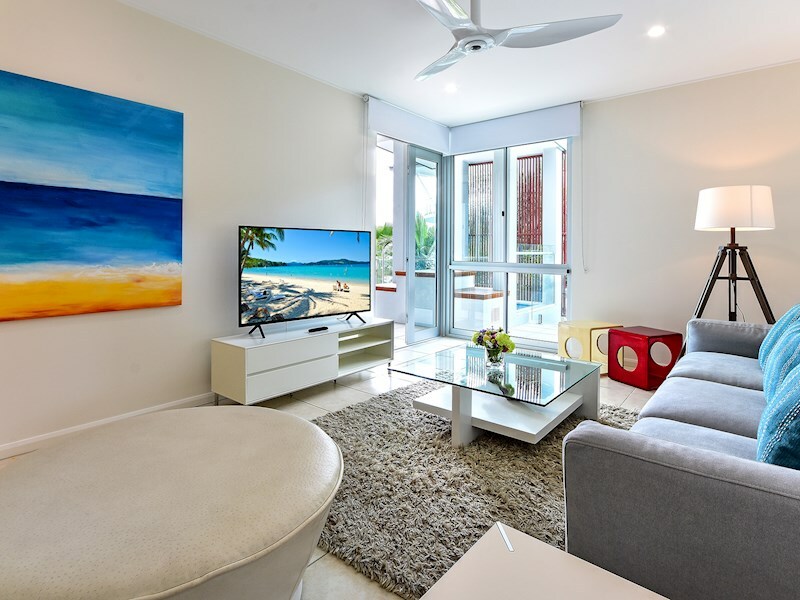 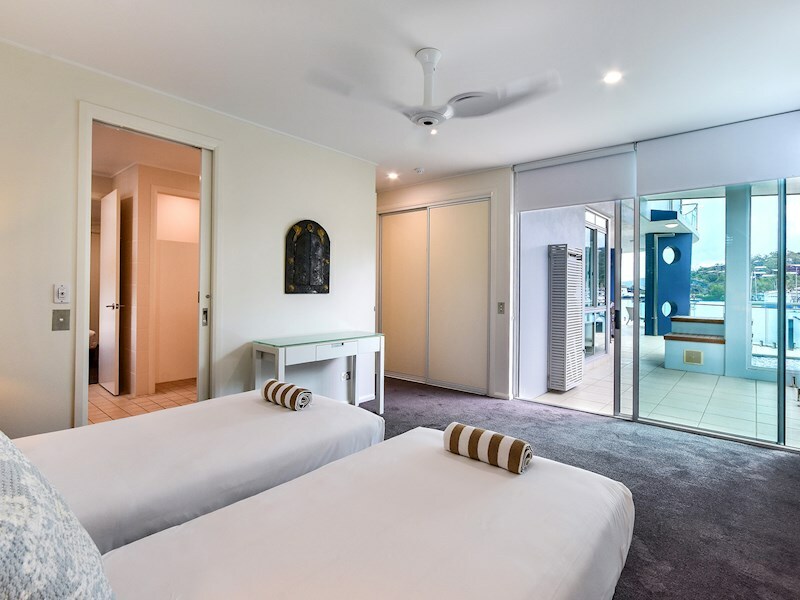 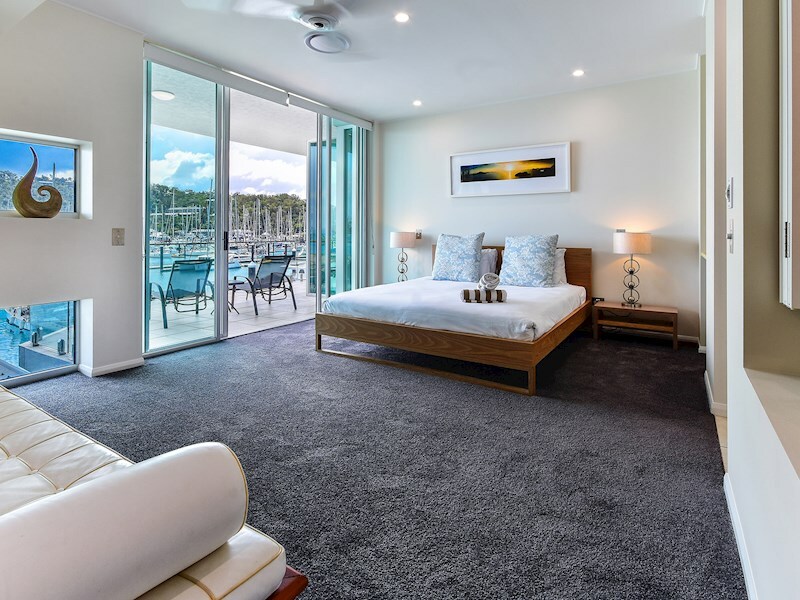 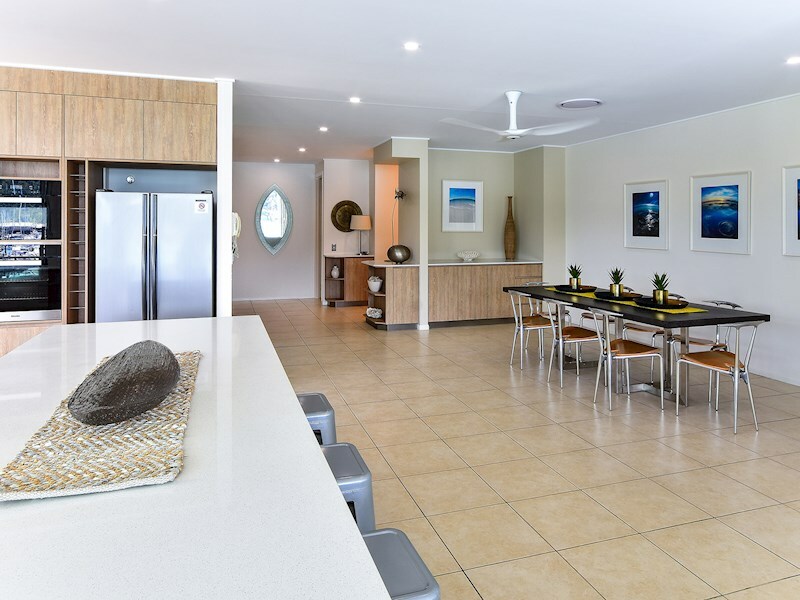 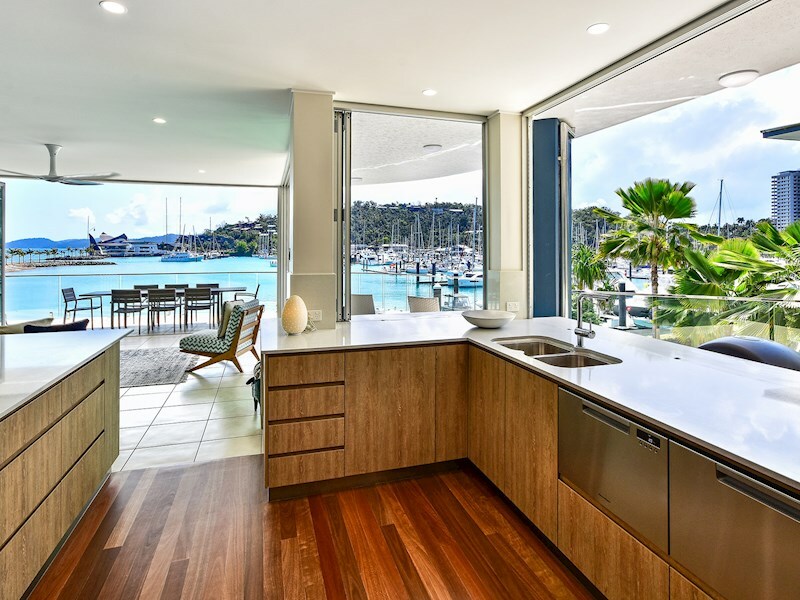 This contemporary and luxuriously appointed three bedroom apartment is perfect for anyone looking for designer accommodation on Hamilton Island. 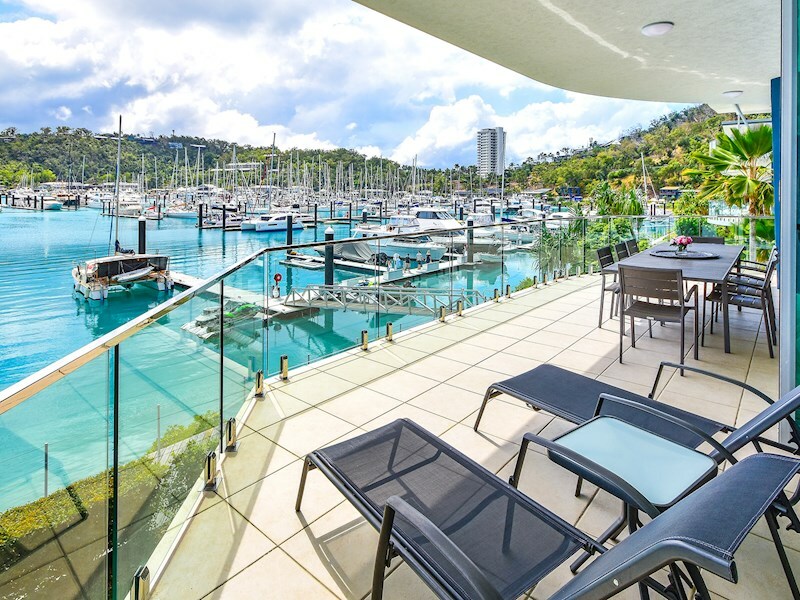 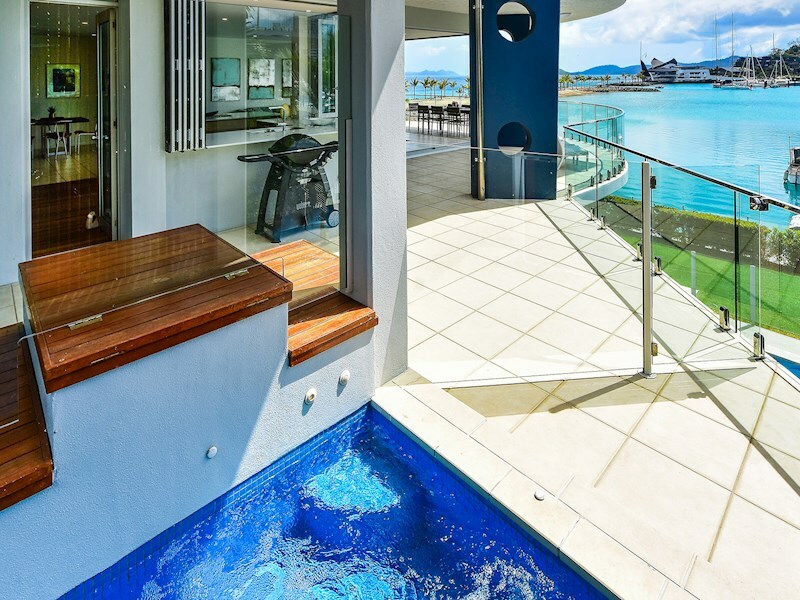 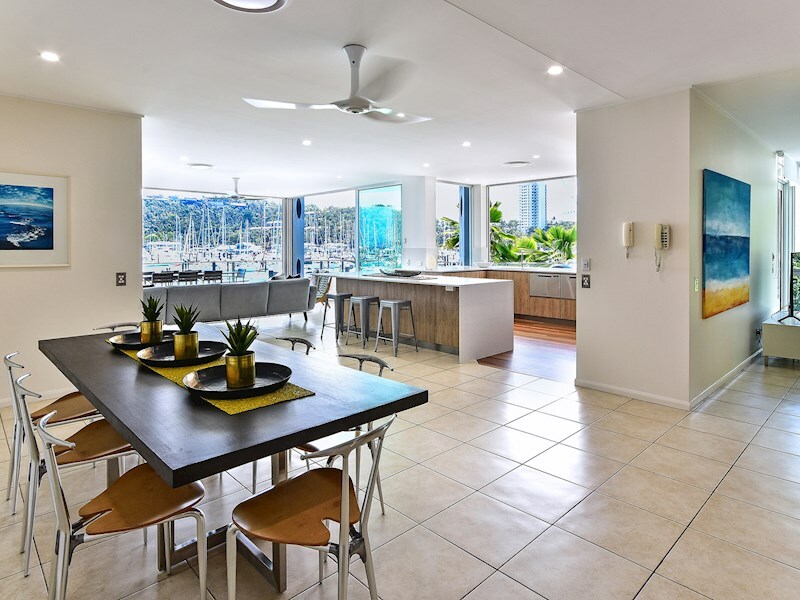 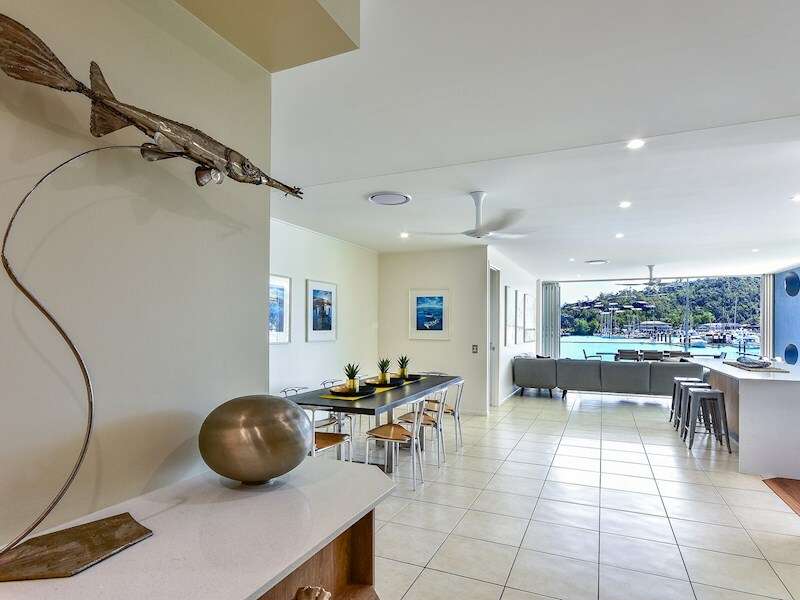 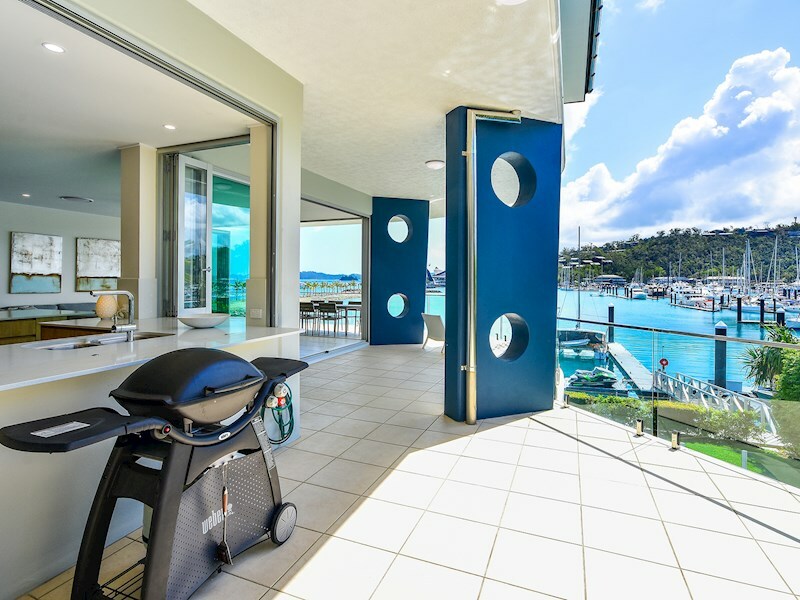 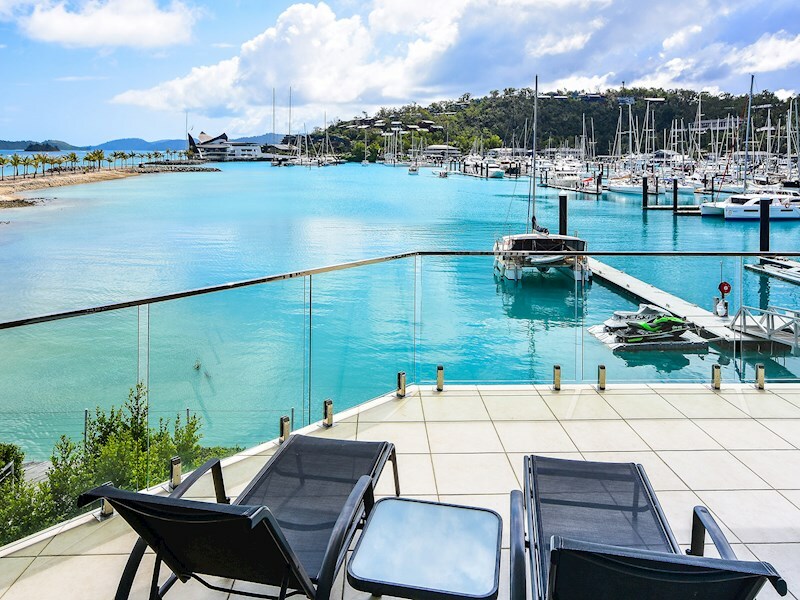 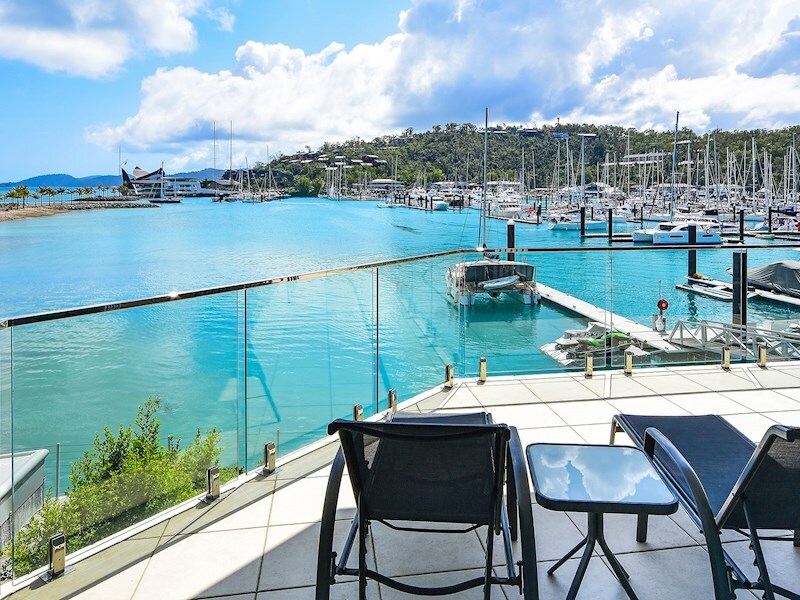 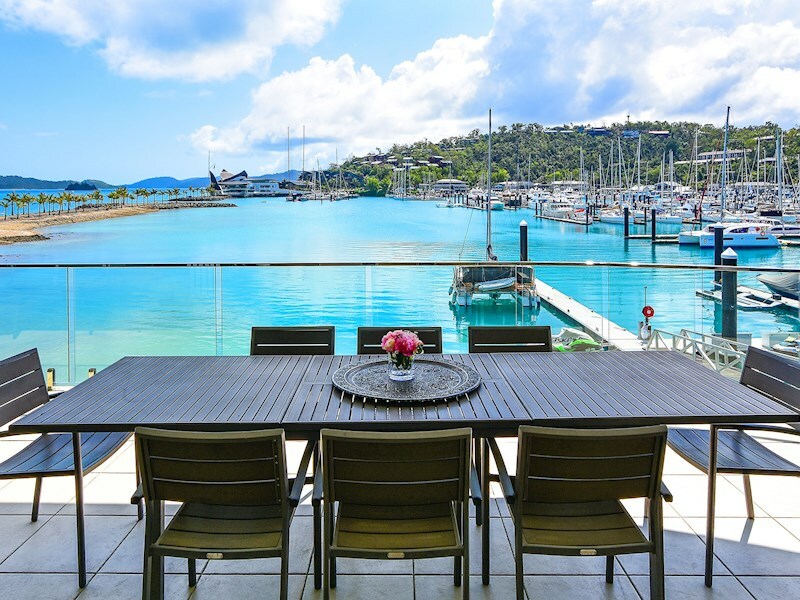 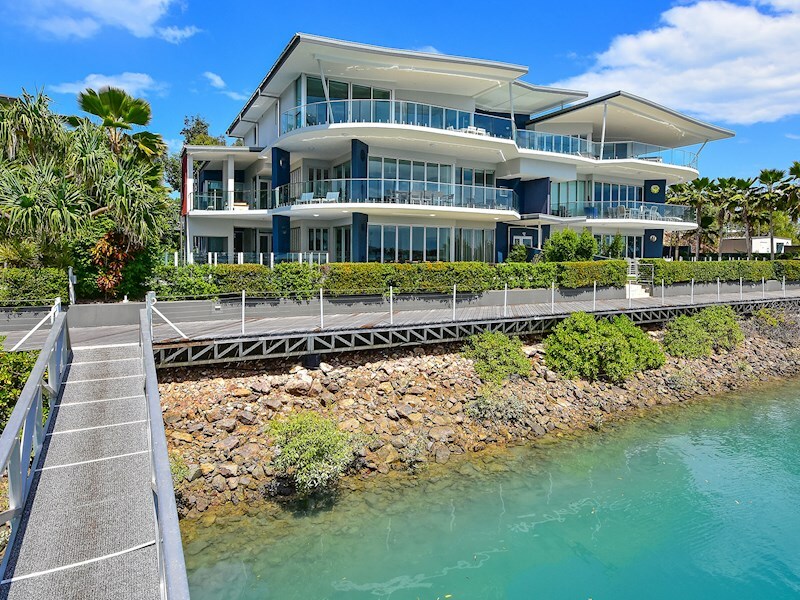 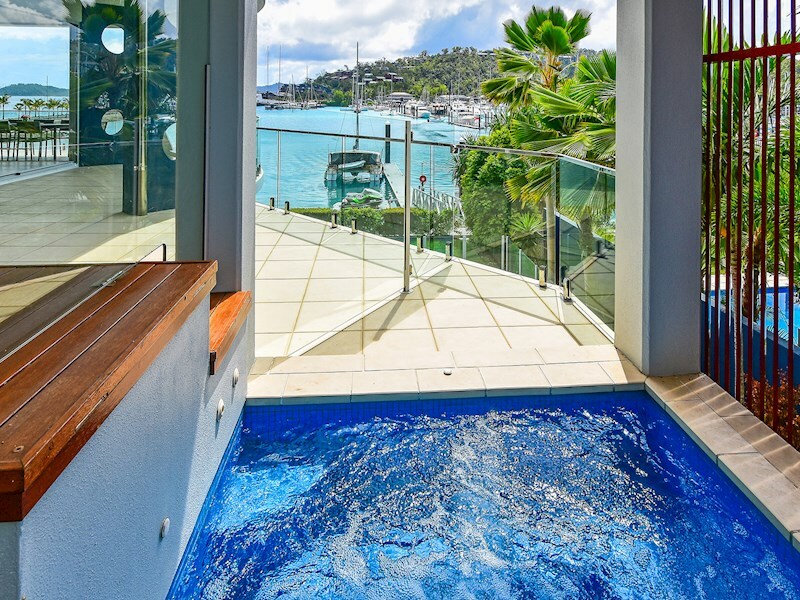 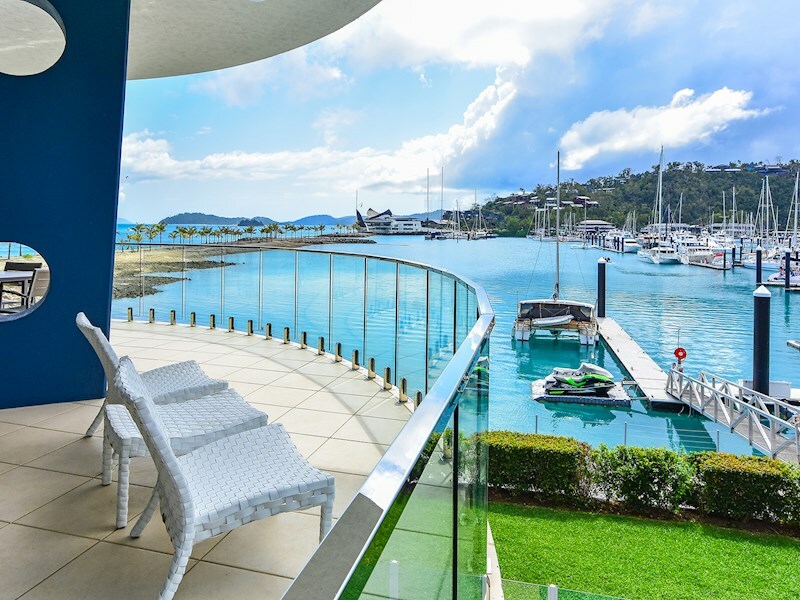 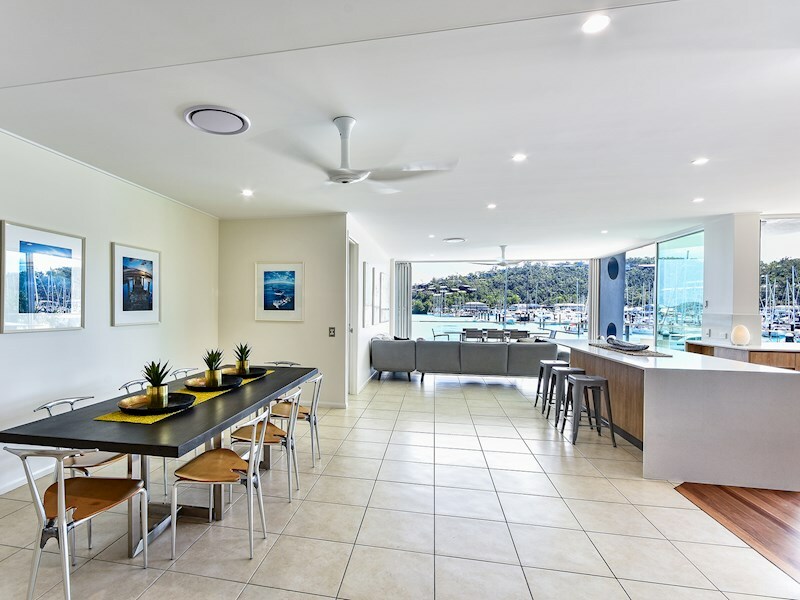 Located near the Hamilton Island Marina, it offers three bedrooms spread over a single level, and offers spectacular water views. 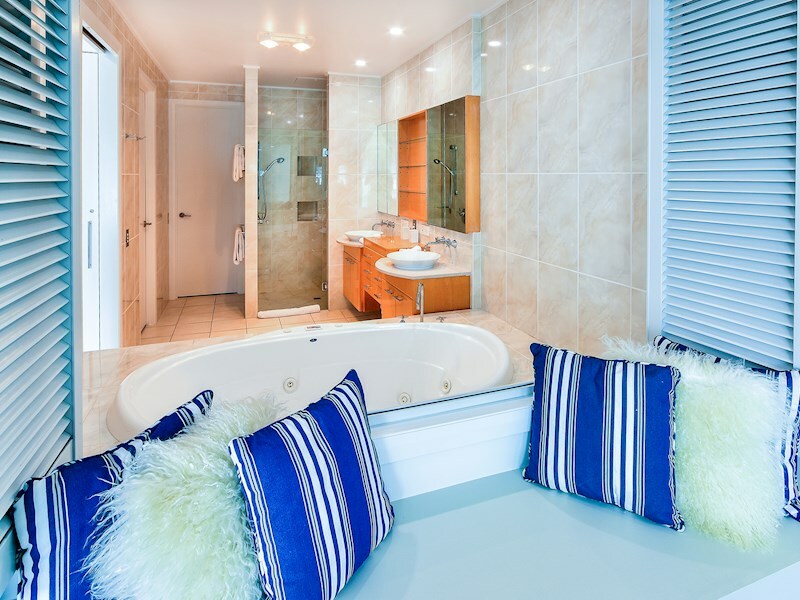 It's just a short walk to Front Street, and includes a gourmet kitchen, spa and private plunge pool. 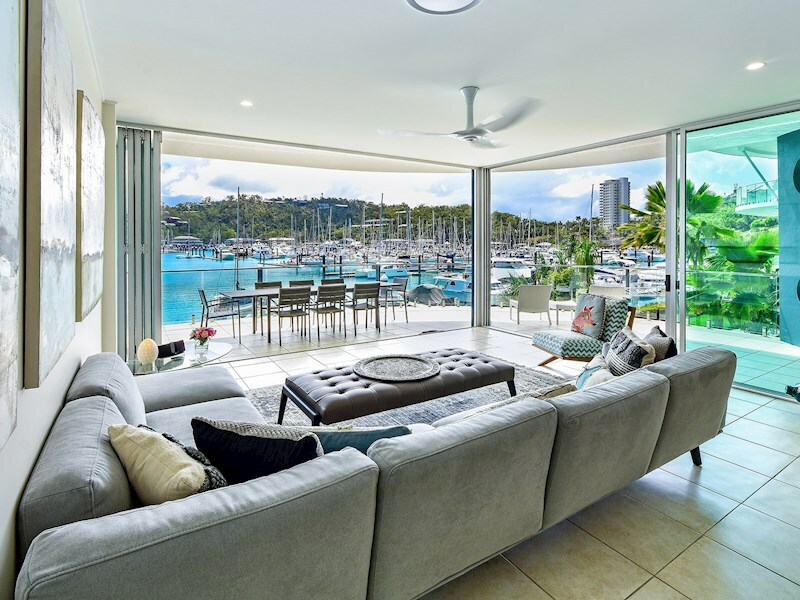 Bi-fold doors open right back to transform this apartment into a luxurious open planned alfresco entertaining area overlooking the Marina. 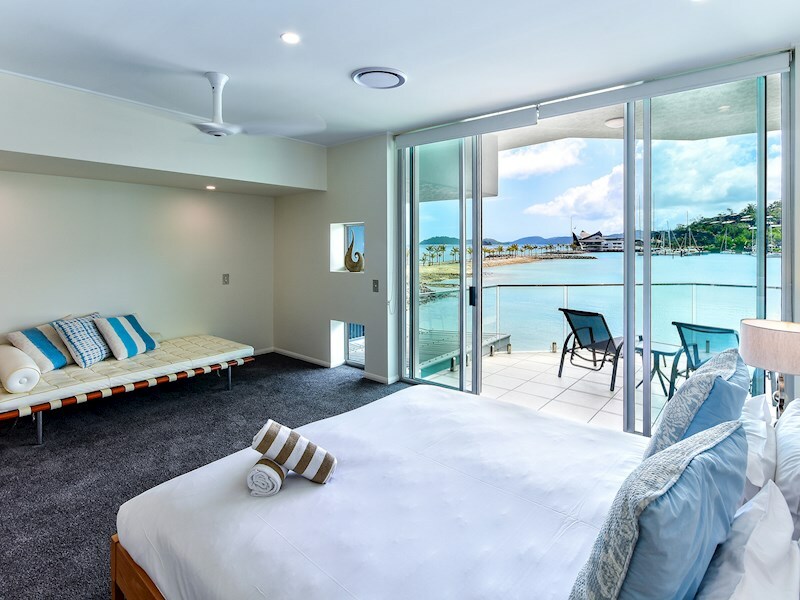 There are three luxurious bedrooms. 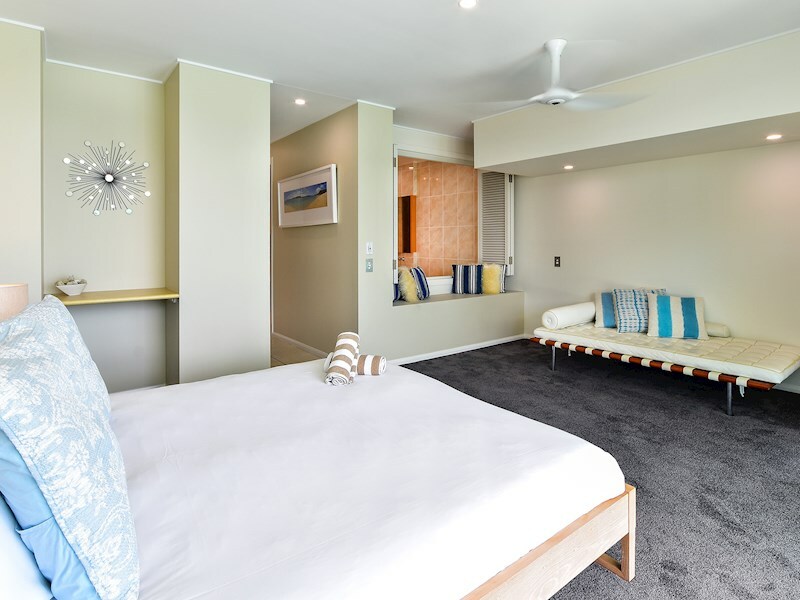 The master suite opens up onto the covered verandah with an ensuite, walk-in robe and daybed. 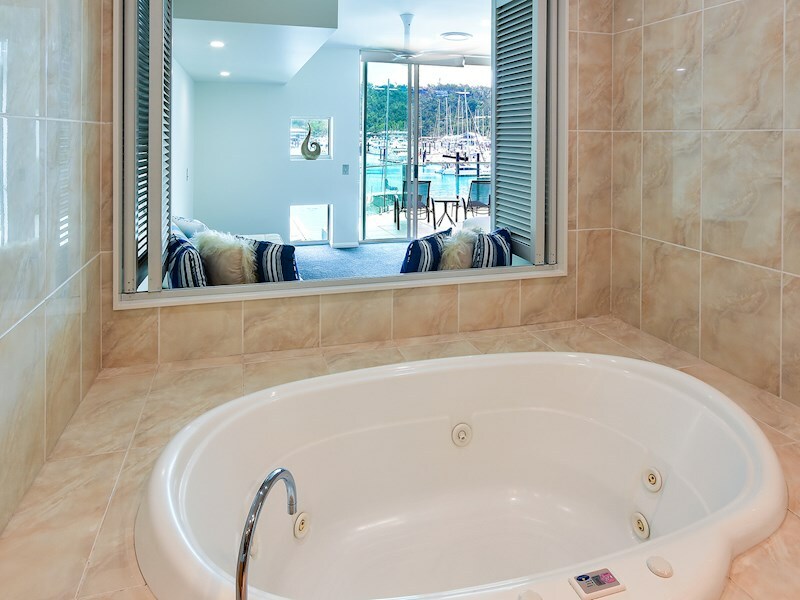 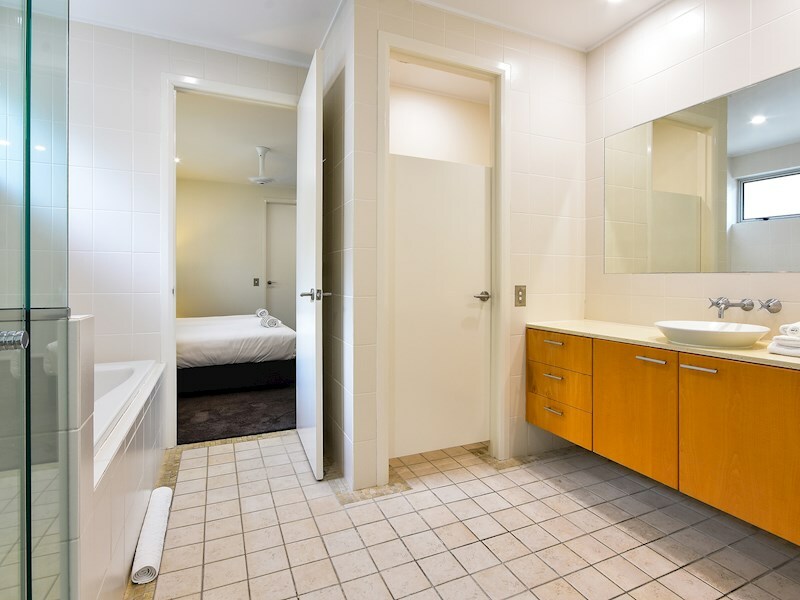 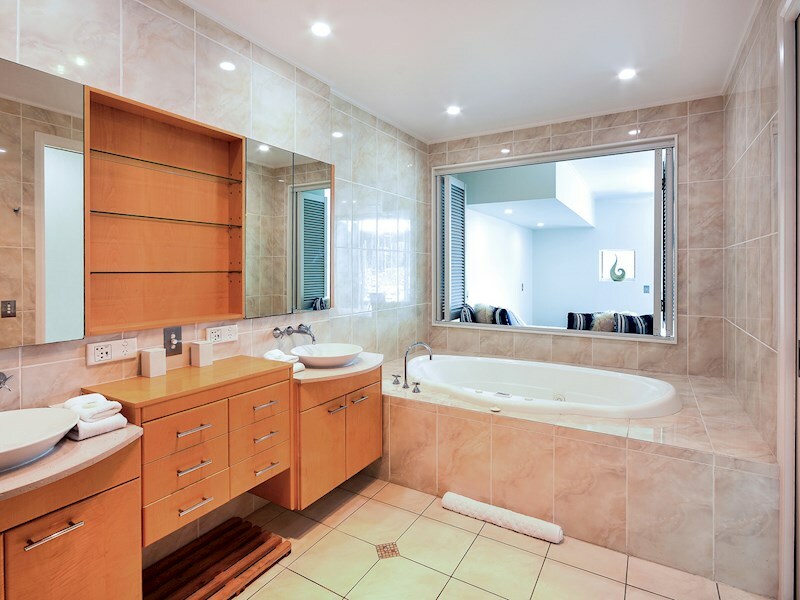 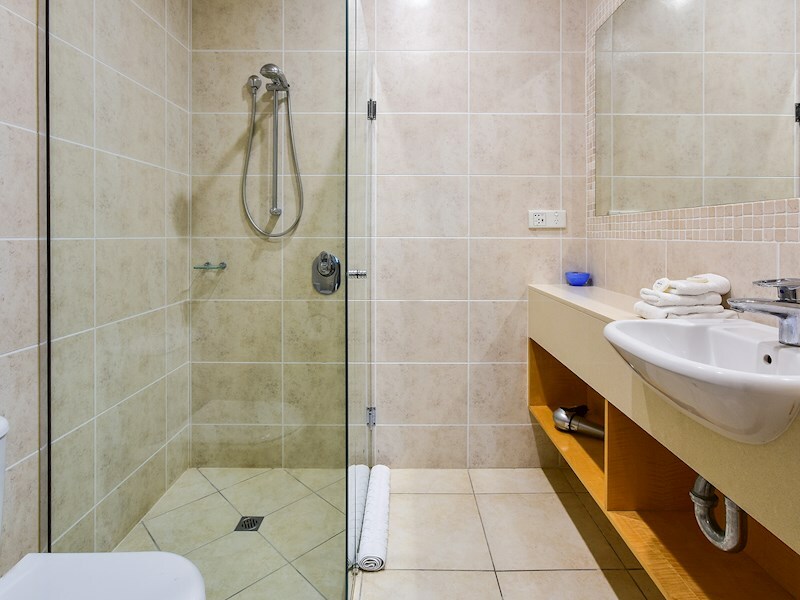 The ensuite has a huge spa with views, and on cooler days, heat lamps in the bathrooms keep it cosy. 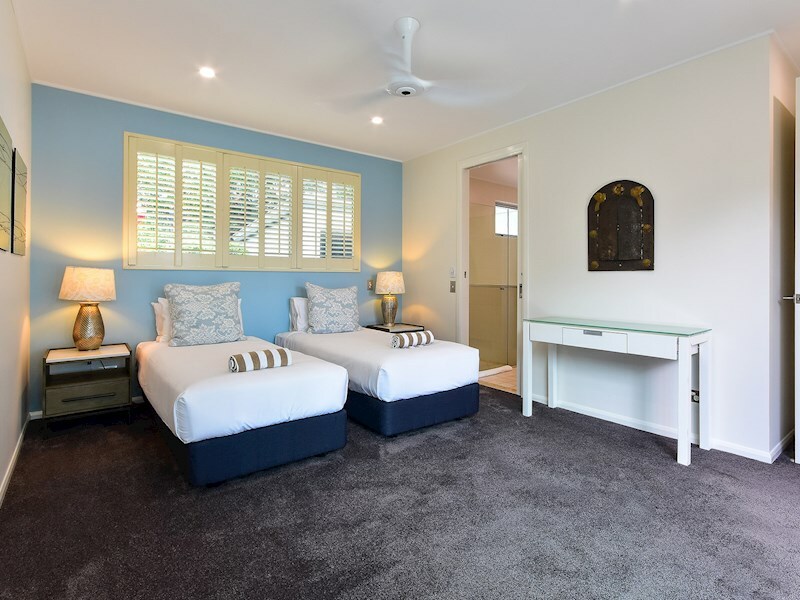 The second bedroom features a king bed and the third bedroom includes two singles and a travel cot if needed. 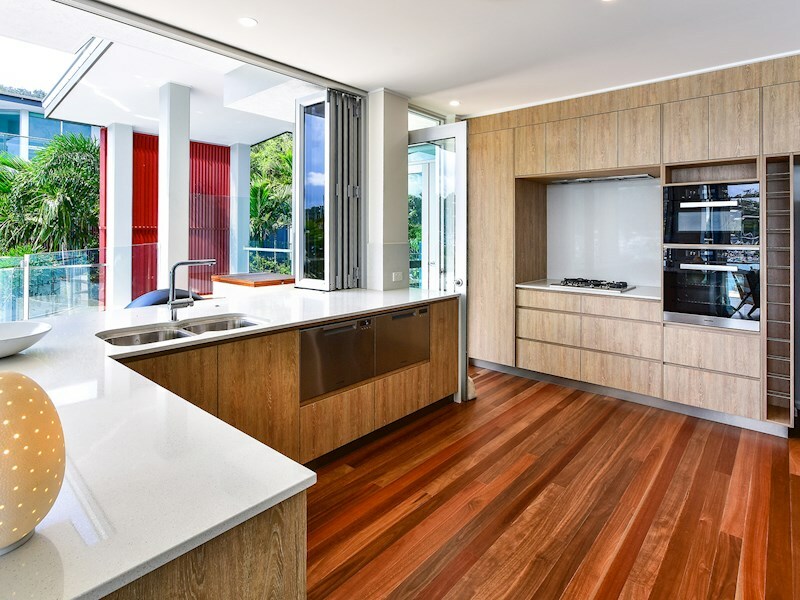 A sophisticated state-of-the-art chef's kitchen with Miele appliances makes dining-in a pleasure. 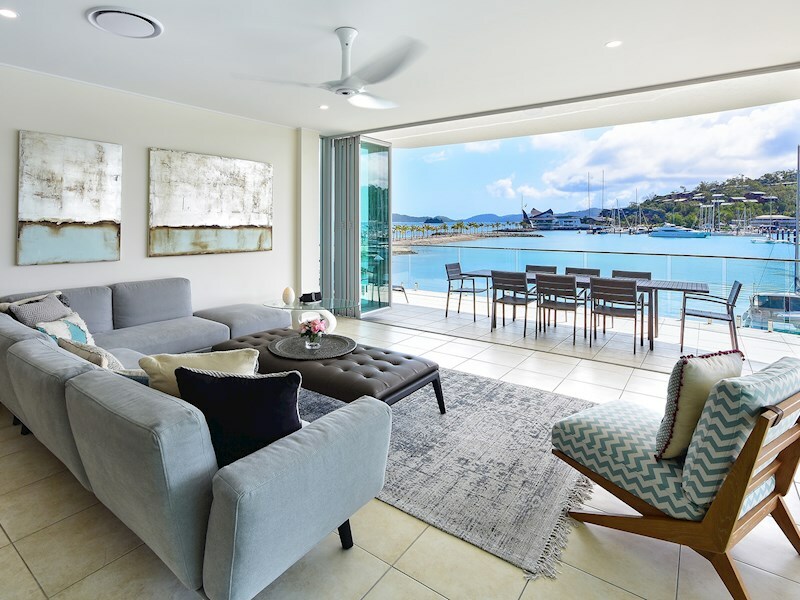 This apartment captures both the views and the cooling summer breezes. 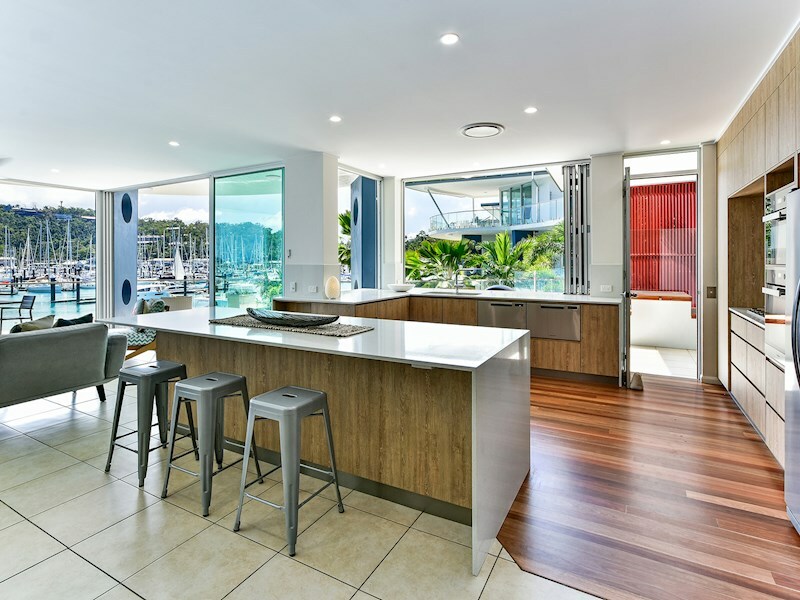 It has wide open balconies, ceiling to floor windows and a light and airy open plan design. 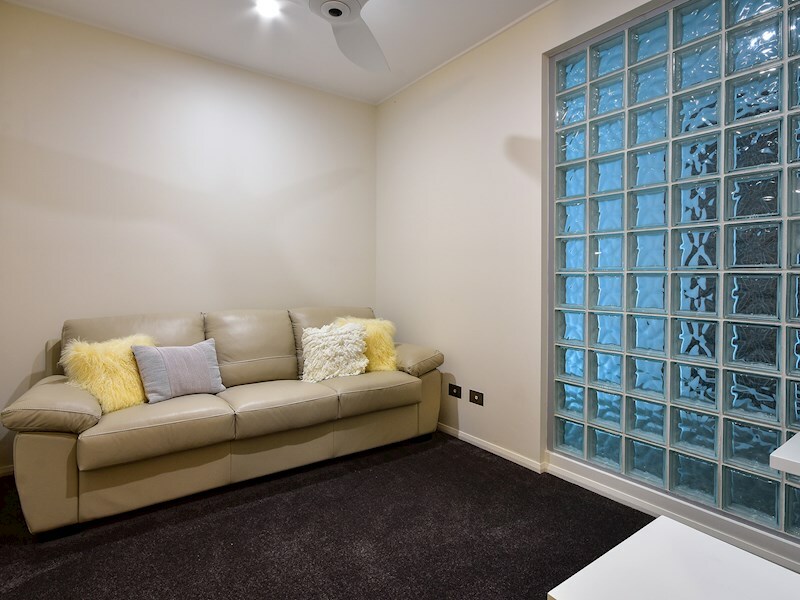 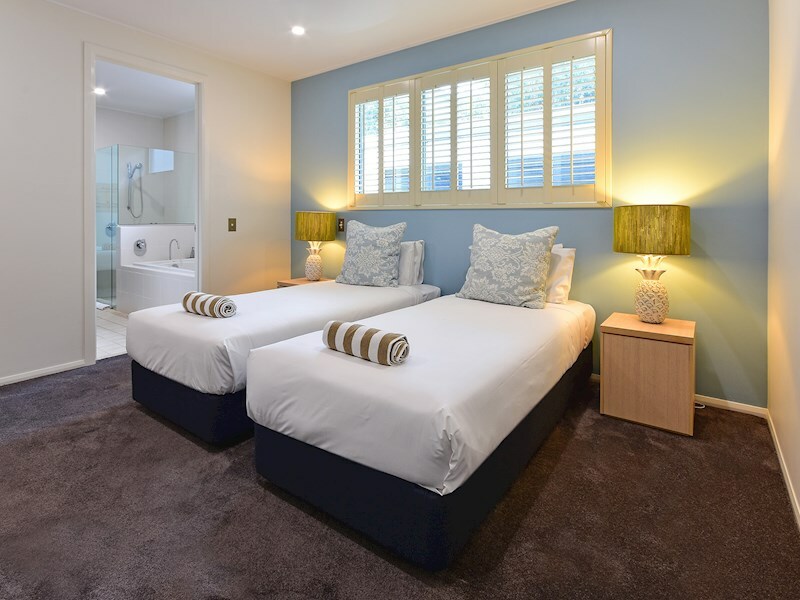 The apartment includes a media room with flat screen TV, iPod docking station, DVD Player, Austar and board games.